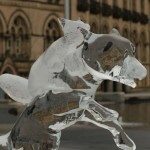 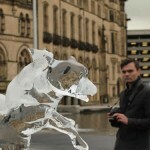 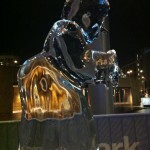 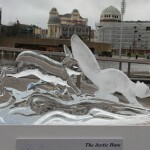 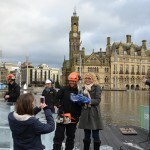 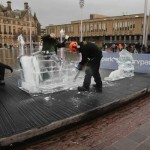 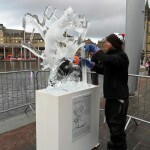 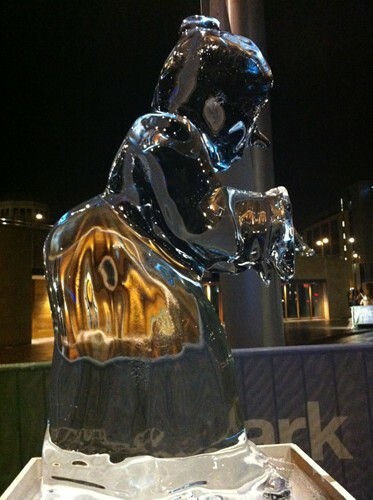 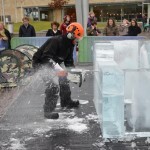 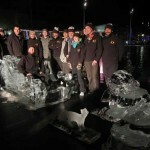 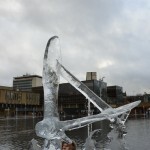 Sand in Your Eye's Ice Trail for Bradford City Park and live ice carve. 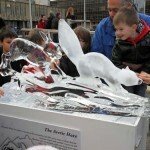 Have you seen Santa and the Little White Fox? 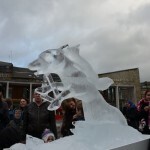 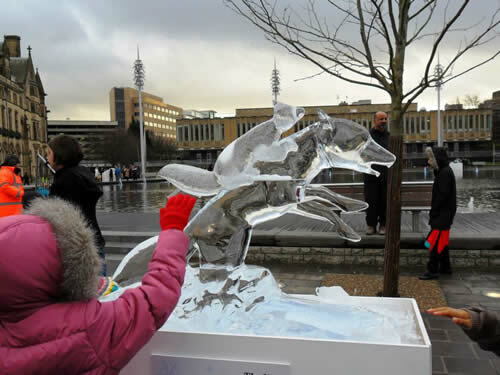 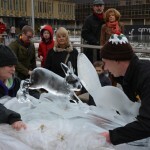 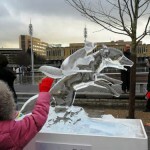 After weeks of careful carving in the freezer, the Sand In Your Eye team assembled to present the story of the little white fox and his search for Santa at Bradford City Park. 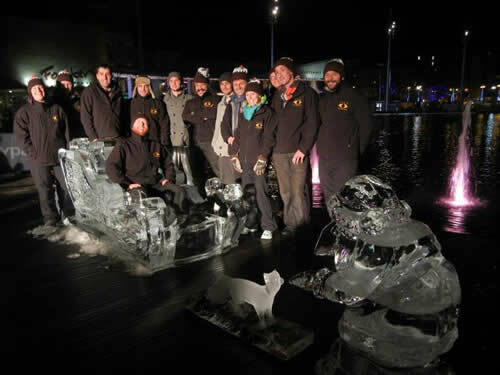 Alongside the ice sculptures that we brought down from the studio, we also produced a special ice sleigh on the day, carving with chainsaws to make sure that Santa had somewhere to give out his gifts when he arrived. 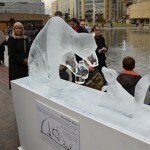 Although it was surprisingly warm on the day after weeks of cold weather, lots of people came to see the sculptures as they gradually melted away throughout the day. 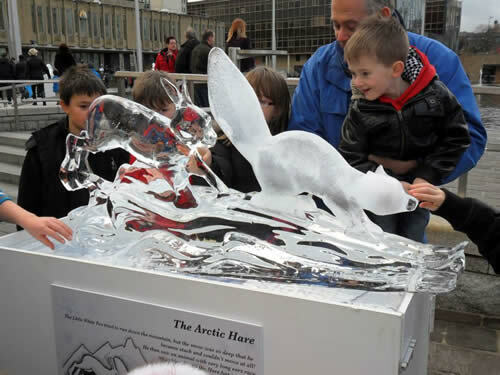 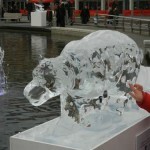 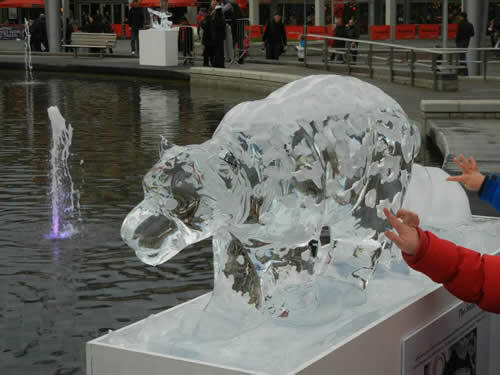 The children who visited were fascinated by the ice creations and it was great that they could touch the ice and interact with the art. 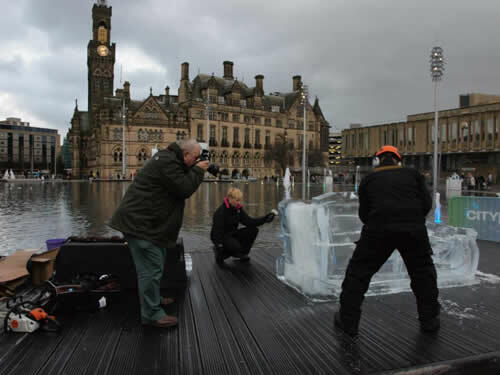 As the night drew in, the sculptures became more abstract as they melted and looked beautiful with the coloured lights of the mirror pool in the background. 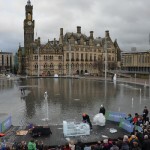 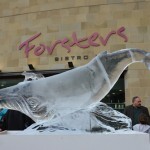 Thanks to Bradford Council and to all the people who came to visit on the day.